If you’re a small business owner and you need business funding quickly, you can obtain a business working capital advance online from Merchant Cash Group and have your funds delivered within 24 to 48 hours. Yes, it’s true! A merchant cash advance is a purchase of your future sales at a discount. We provide you with a lump sum of funding based on your sales volume. Then, the advance is repaid by one of two methods. Either we take a percentage of each credit card charge or you make a fixed daily or weekly payment. This makes merchant cash advances a flexible way to get additional working capital, and you can qualify even if you have a bad credit score. Get more details now and see how you can obtain a business working capital advance completely online from the comfort of your home or office. Before we can issue you, a business working capital advance, you’ll need to make sure that you meet our minimum requirements. Doing this before you apply ensures that you’ll receive the fastest service and be rapidly approved for a business cash advance online. Your business must generate at least $5,000 in monthly sales. Remember, a merchant cash advance is the purchase of your future sales – so we need to make sure that you generate enough revenue to sustain your average monthly cash flow. In addition, your total monthly revenue will determine how much money we can provide to you. Your business must be in operation for at least 6 months. This ensures that you have a well-established customer base and steady sales. If you meet these minimum requirements, you can easily qualify for a small merchant cash advance online. The approval process is extremely fast which is why you can receive the funding within 24 to 48 hours. Start by filling out our simple online application – The application process takes no more than 5 minutes. Once you have completed that step, a team member will contact you right away. Submit your documents – One of our funding experts will walk you through the easy steps to upload 3 months of your business bank account statements and credit card processing statements (if you accept credit card payments). We determine your funding offer – Our underwriters will review your application and bank statements and send you the merchant cash advance offer. Accept the offer and get your funding in 24 to 48 hours – Once you have reviewed and accepted the offer, we send you the funding contract which is completed online using DocuSign. After this process has been completed, we call you for a final review of the agreement and then your funds are sent to your business bank account. The entire process is simple, secure and most of all FAST! It’s that easy! 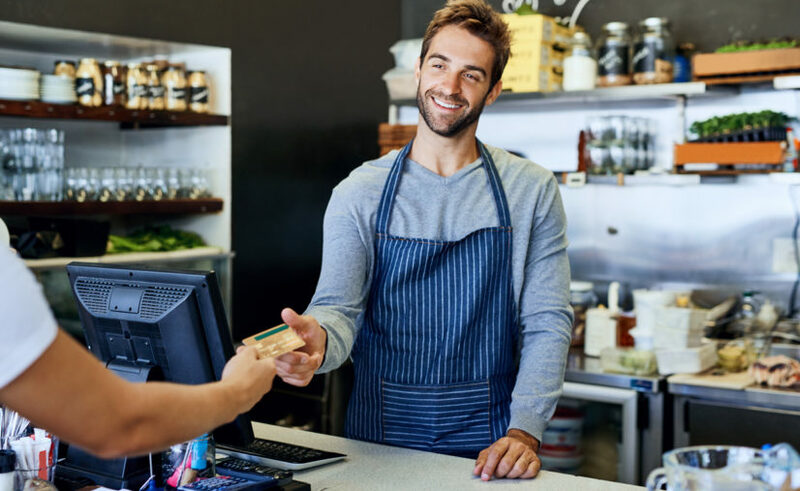 You can obtain a merchant cash advance online in less than 48 hours, providing you with a flexible, secure and convenient funding option that gives you the extra working capital you need to grow your business. Whether it’s to purchase additional inventory or equipment, invest in a new marketing strategy or for any other need that requires extra working capital, Merchant Cash Group is your best option. We look forward to serving you and your business. Get A Business Working Capital Advance Online Today! Read our FAQs to learn more about obtaining a merchant cash advance or call customer support now. Ready to get started? Visit our website, and begin the application process today. Our funding experts are standing by waiting to assist you.